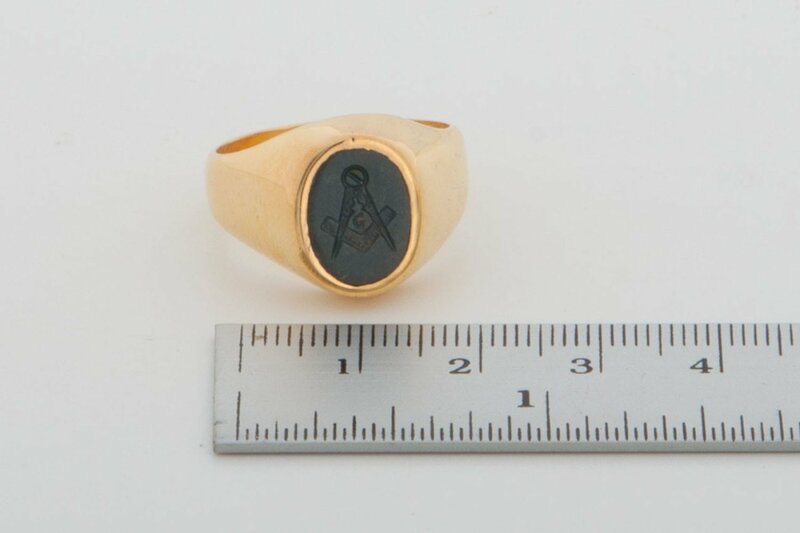 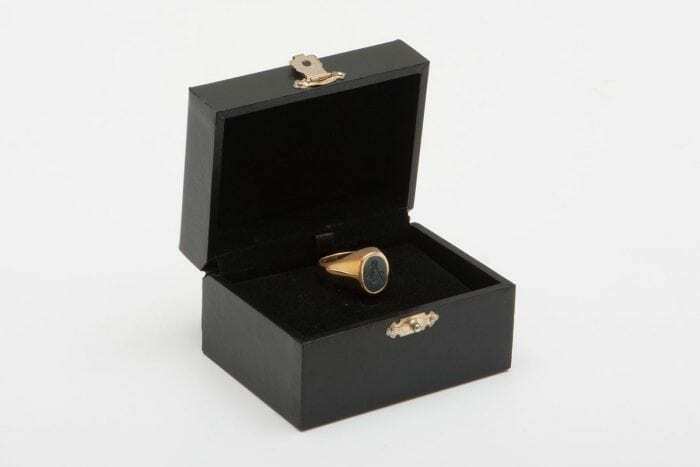 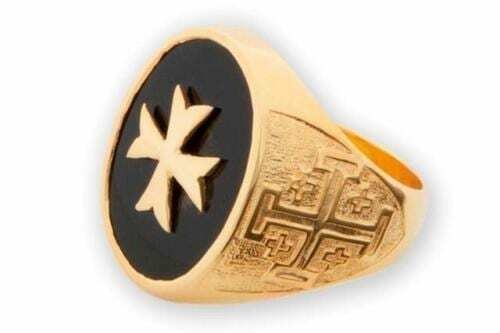 FINE BLOODSTONE MASONIC RING GOLD PLATED (5 MICRONS 18K GOLD) STERLING SILVER MASONIC HAND CARVED OVAL SHOWING THE IMAGE OF THE MASONIC SET SQUARE AND COMPASS. 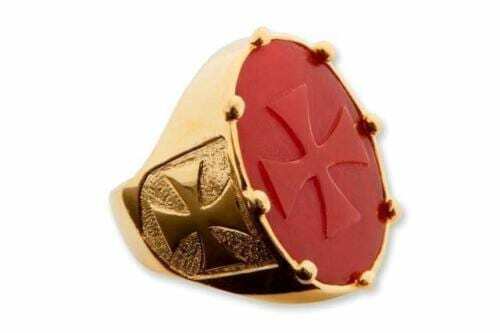 Gold plated (5 Microns 18K Gold) sterling silver and genuine high quality bloodstone. 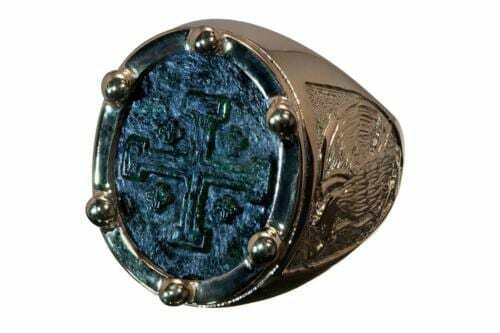 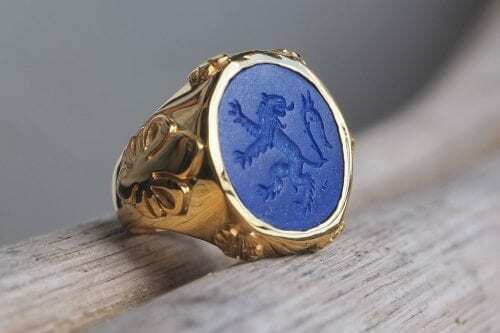 Intaglio engraved Regnas seal ring. 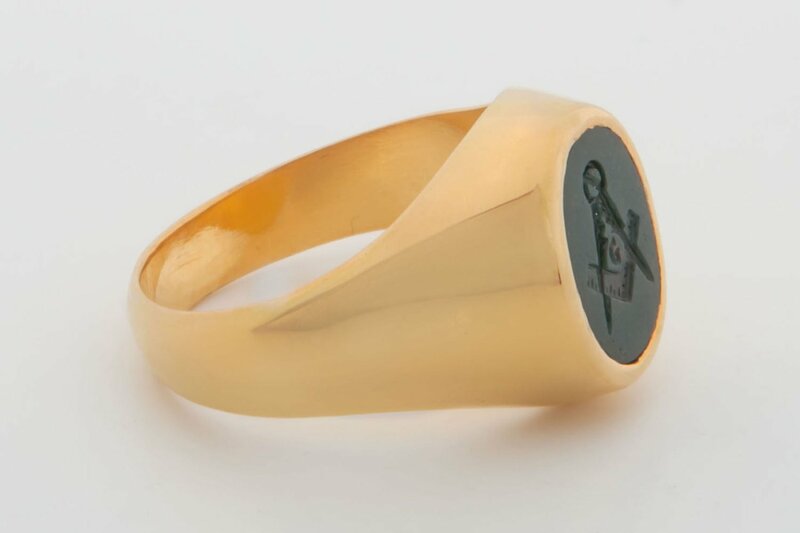 The oval cut is 12 x 9 mm (15/32 x 23/64 inch). 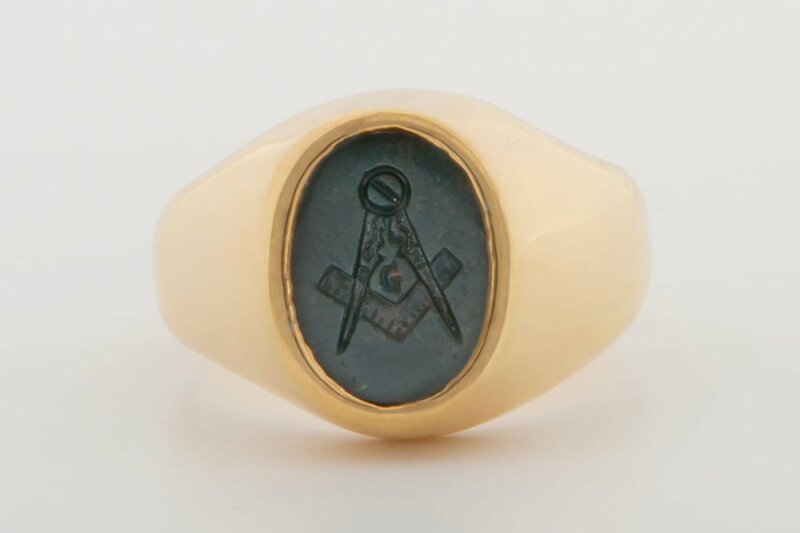 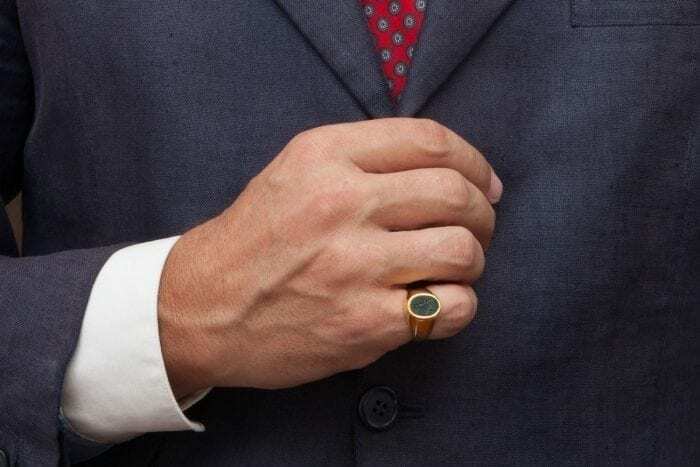 This is one of our new style smaller sized and very smart masonic bloodstone rings. Discrete and stylish.